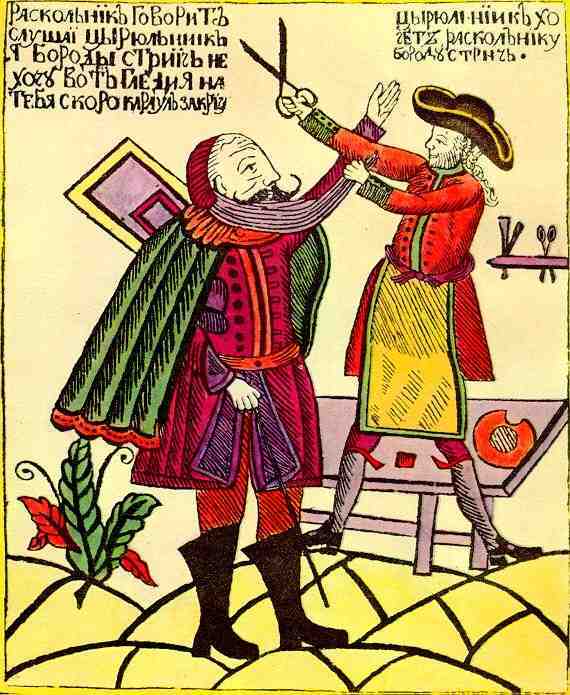 In 1705, Emperor Peter I of Russia instituted a beard tax to modernize the society of Russia following European models. Those who paid the tax were required to carry a "beard token". This was a copper or silver token with a Russian Eagle on one side and on the other, the lower part of a face with nose, mouth, whiskers, and beard. It was inscribed with two phrases: "Money Taken" and the other side was old Cyrillic for the date, 1705, but certain folklore says that future versions of the token stated "the beard is a useless burden". If you’re interested in buying your own replica beard token, you can go here.